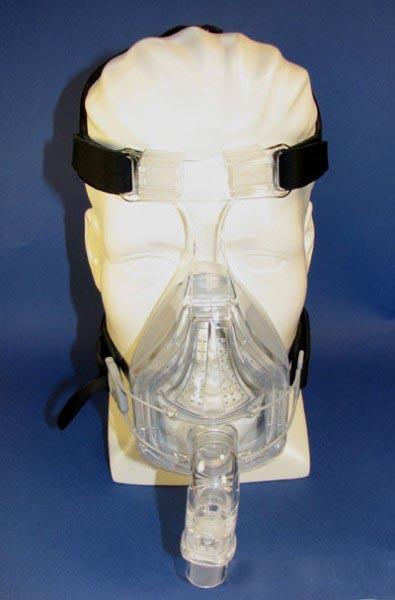 The Forma Full Face CPAP Mask forms a superior seal and provides even more comfort with a greater range of movement through the active contouring of its FlexiFoam Cushion. The T-Piece adds stability to the stylized Mask Base, and works in harmony with the highly contoured Silicone Seal and Under-Chin Design to enhance sleep performance. Simple one-step auto-adjustment fitting using FlexiFit Technology. The unique FlexiFoam Cushion is an Active-contouring cushion that is light and supportive to provide greater comfort. Unique Glider Strap provides freedom of movement while maintaining a seal. The Under-Chin Design and Crown Strap provide extra stability and maintain a secure fit even with jaw movement. 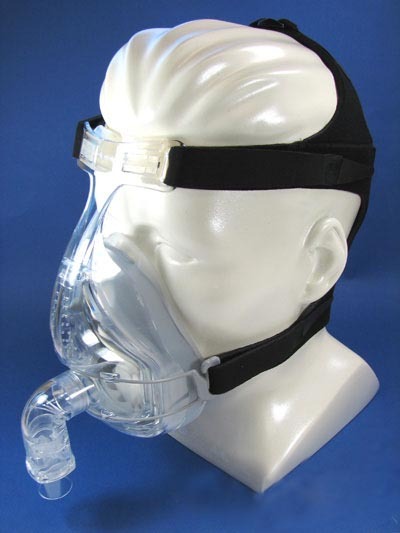 Easy-Release Strap allows simple removal of the mask. Fully assembled, available in four sizes: Small, Medium, Large and X-Large. I ordered a small and it is still a little too big. I really like this mask as it is light weight, easy to clean and very comfortable! Better than the 451 product. But the salesperson talked me into a large. Wish he had let me purchase the XL.